Prince Charles and Camilla Parker Bowles will open their current home, the Clarence House, to the public for a limited time next month. The Duke and Duchess of Cornwall will be vacationing at Birkhall, their Scottish estate in August, and they have decided to give royal fans the opportunity to have a closer look at one of their properties. [post_ads]A 45-minute tour of the famous townhouse will cost less than $14. But an exclusive guided tour will cost $46. The highlights of the tour will include the viewing of the Lancaster room, the Morning Room where Prince Louis’ christening photos were taken, the dining room, the garden room, and the library. Those who will avail of the trip will also get first-hand information about the structure’s rich history. Queen Elizabeth II’s royal collection will also be on full display during the tours. Some of the items that fans can see include her Chinese porcelain and the special clock that was made for William III. Tour tickets are now available via the royal family’s official website. In related news, Prince Charles and Bowles braved the heavy rains during their visit to Cornwall on Monday. While there, the couple met with local residents and businesses. They also made a stop at the Duchy of Cornwall, a private estate that was established by Edward III for Prince Edward. 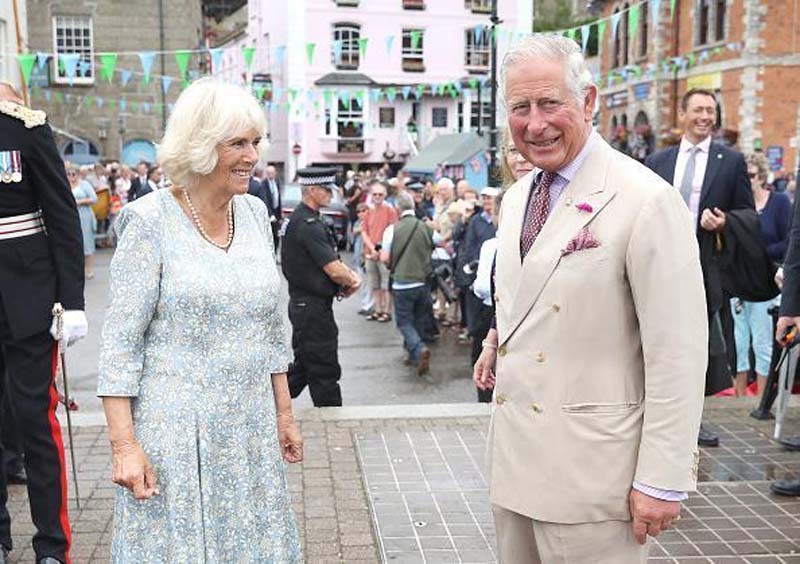 Prince Charles and Bowles also met with the representatives from the RNLI and Fowey Gig Club, as well as the veterans of the Royal British Legion on Town Quay. The couple will be in Cornwall until Wednesday for their three-day trip to promote farming, new technologies, and environmental issues. Prior to their trip to Cornwall, Prince Charles and Bowles were featured in Prince Louis’ official christening photos. In the snaps, the couple stood close to each other and behind Prince William and Prince George. On the other side of the photo are Kate Middleton’s family members. Also in the pictures are Prince Harry and Meghan Markle. In the snaps, Bowles is wearing a cream suit, skirt, and hat. Prince Charles, on the other hand, is wearing a blue suit.